Samsung Electronics Co. has said it is working with Internet giant Google Inc. to offer improved messaging experiences that would allow users to engage in group chats and video calls and transfer large files without the need for additional apps. The collaboration will ensure that Android Messages and Samsung Messages will work together seamlessly, and it will boost coverage of Rich Communication Services (RCS), an upgrade to the SMS messaging system, Yonhap news agency reported. The South Korean tech giant said it would work to bring RCS features to existing mobile phones beginning with the Galaxy S8 and S8 Plus. It also said its new Galaxy smartphones will natively support RCS messaging, starting with those on a set of carriers that have or will soon launch RCS. 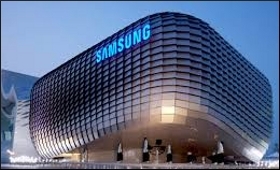 "By furthering our robust partnership with Google, we will bring a richer messaging experience to our customers, letting them seamlessly chat with their friends and family across messaging platforms," Patrick Chomet, Executive Vice President at Samsung's Mobile Communications Business, said in comments posted on the website of Samsung Mobile Press on Wednesday. "This collaboration will help further the industry's momentum toward advanced messaging and global RCS coverage." "Our partnership will further advance our shared vision of a substantially improved messaging experience on Android for users, brands and the broader Android ecosystem," Anil Sabharwal, Vice President for Communications Products and Photos at Google, said. The move comes at a time when many people are opting to use popular messaging apps, such as WhatsApp and WeChat instead of traditional SMS messaging.